Shogun Sport Commercial eschews back seats in favor of trunk space. 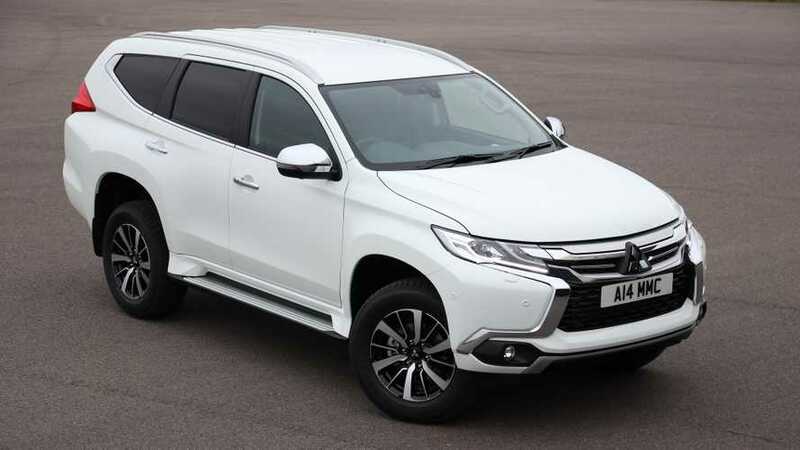 Mitsubishi has launched a new version of its Shogun Sport SUV in the United Kingdom designed to appeal to businesses and tradespeople. The rugged 4x4 is imaginatively named the Shogun Sport Commercial, and although it looks much the same as the SUV on which it is based, it features blacked-out side windows and sacrifices five of the seven seats to create a flat-bottomed load space. In total, that load bay measures more than 1.9 meters (6.2 feet) in length, while the gap between the two rear wheel arches measures exactly a meter (3.3 feet). From floor to ceiling it’s a little larger, at 1.04 meters (3.4 feet), giving you a total capacity of 1,488 liters (52.5 cubic feet), if you use the German Automobile Industry Association’s method of measurement. Oddly, that’s exactly the same as you’d get from a normal Shogun Sport with the rear seats folded down. From the driver’s seat, though, the Commercial is more or less identical to its passenger-carrying stablemate. The newcomer is based on the range-topping "4" version, so you get a touchscreen multimedia system with the Apple CarPlay and Android Auto smartphone connectivity systems, not to mention push-button start, heated leather seats and a 360-degree camera that gives you a top-down view of the car and its surroundings. You also get a 510-watt sound system and USB device charging connectors, plus a three-pin plug socket in the centre console. And it’ll look much like a Shogun Sport 4 on the outside, too, thanks to the black window coverings and the 18-inch alloy wheels. You even get the same safety kit, with autonomous emergency braking to help prevent or mitigate an impending crash and blind-spot monitoring to warn you when a vehicle is lurking in the blind spot over your shoulder. Under the skin, both the Shogun Sport and its Commercial sibling share much with Mitsubishi’s L200 pickup truck, including the tough ladder chassis and the 178-hp 2.4-liter turbocharged diesel engine. As a result, the Shogun Sport Commercial can tow trailers weighing as much as 3.1 tons (6,200 pounds) and carry more than 600 kg (1,322 lbs) in the trunk. When empty, though, it get from a standstill to 62 mph (100 kph) in 11 seconds and hit a top speed of 112 mph (180 kph), and if driven more conservatively, Mitsubishi says its 2.1-ton (4,200-pound) vehicle will return something around 32.8 mpg UK (27.3 mpg US or 8.6 liters / 100 km). It inherits the standard Shogun Sport’s off-road capability, too, with low-ratio gearing, lockable rear and center differentials and hill descent control all featured as standard. It also comes with Mitsubishi’s Super Select II 4WD system, which allows the driver to choose settings using a terrain selector. That way, the car can be set up for driving on gravel, mud/snow, sand or rocks. The Commercial version inherits something of the Shogun Sport’s price, too, commanding a starting price of £32,504 plus VAT. 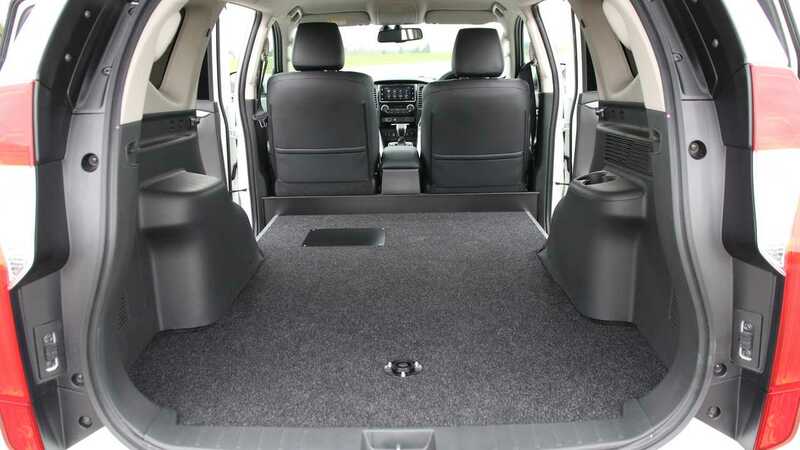 Based on the well-equipped Mitsubishi Shogun Sport 4 SUV, the Commercial version has a flat rear load area that measures 1,920mm long, 1,000mm wide between the rear wheel arches and 1,040mm high with 1,488 litres VDA. The Shogun Sport Commercial has a maximum load capacity of 605KG and a maximum towing capacity of 3.1 tonnes (braked). The Super Select II 4WD system fitted to the Shogun Sport Commercial is the same as the passenger vehicle and has an off-road terrain selector with settings for gravel, mud/snow, sand and rock. Low ratio transfer gearing is also selectable for when the terrain becomes demanding and this is complemented with a lockable centre and rear differential and Hill Descent Control. The Mitsubishi Shogun Sport Commercial also features 18” alloy wheels, 360° camera, heated leather seats, LED headlamps and a keyless operation system. The audio system features Apple CarPlay & Android Auto compatibility along with Bluetooth connection, DAB radio and a 510W Mitsubishi Power Sound speaker system. For convenience two further USB connections and a 3-pin plug socket are located in the centre console. Safety features such as Forward Collision Mitigation, Blind Spot Warning and Trailer Stability Assist are also standard. The Shogun Sport Commercial is available to order now and is priced from £32,504 CV OTR*.